Out presidential candidate Pete Buttigieg isn’t pulling any punches when it comes to his sexual orientation. In fact, he’s making it a selling point for his candidacy. 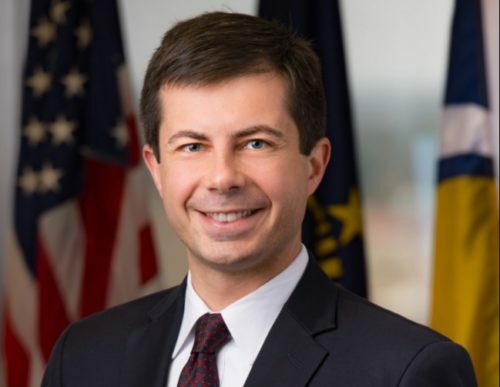 The 37-year-old mayor of South Bend, Indiana, doesn’t have the national name recognition as some of the other candidates like Senators Elizabeth Warren and Kamala Harris, but he’s quickly raising his profile. In a CNN interview, Buttigieg, who served in the war in Afghanistan, said he is the exactly right person to take on President Donald Trump in 2020. “I’m a gay man from Indiana, I know how to deal with a bully,” he said, adding that the best strategy would be to simply ignore Trump’s attacks instead of promoting them. Buttigieg is 37-years-old, making him one of the youngest candidates to enter the race, tied with Representative Tulsi Gabbard, who is also 37. He welcomes the crowded field of candidates lining up to challenge Trump. He said that he sees other candidates as competitors instead of opponents. Still, his candidacy isn’t about his sexual orientation; he’s focusing on bread and butter issues to improve America. “My generation is the generation that experienced school shootings beginning when I was in high school, the generation that fought in the post 9/11 wars, the first generation to have to deal with the reality of climate change, and the first generation not to be better off than our parents materially – if nothing changes,” he said when he announced his campaign.